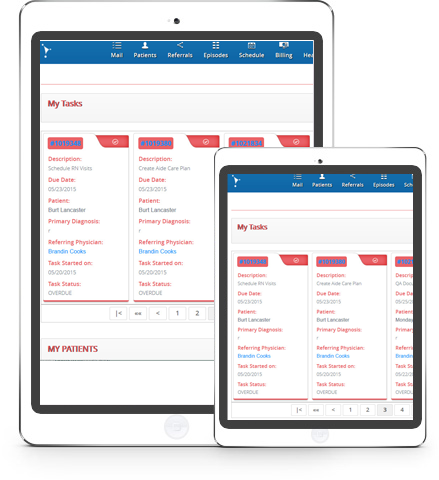 The Powerful Home Health Software Platform designed to help you work smarter. Are your nurses visiting their patients when they should? Were all patient notes submitted on time today? Which of your nurses performs best? Which is worst? Are you making the profits you should - or has billing has fallen behind? What's your staff turnover rate, and how much are you losing with every lost nurse? How many of your patients are they taking with them when they leave? Without effective tracking software, there's no way to get the answers-or figure out if your business is thriving or struggling. Automation for every part of your Agency. Instant visuals on the big picture. Fortuna MAX doesn’t just track for you – it analyzes the information so that you can see what’s slowing your business down and how to improve it quickly. Retain experience on your own best practices. When your agency runs beautifully and you can consistently reward your best performers, you keep your top staff members. No one wants to leave an ideal workplace, and we allow you to custom-create your own high standards. Copyright © 2017. Fortuna Medical. All Rights Reserved.